The tea serve is one of the things you must do and pass on approval by your Oneesan if you have one and Okasan. If you have not received a box of gestures that you can remake to your own style, ask for one. These have different stages of the tea service set up as an example for you. But of course you will want to make these chat the things that you want them to. Fukusa: a square silk cloth used for ritually cleaning the tea scoop and tea caddy and for handling the hot lids of the kettles. When not in use, the fukusa is tucked into the obi. It is generally a single color of orange or red for women's use or purple for men to use. Cha-ire and natsume (tea caddy): Tea caddies come in two basic styles - cha-ire is used for koicha and are usually tall and thin with ivory lids, natsume used for usucha are short with a flat lid and rounded bottom and generally are made of lacquered wood. Chashaku (tea scoop): while different styles and colors may be used, the chashaku is generally a single piece of bamboo or other wood, or may be made of ivory - it is used to transfer the tea from the tea caddy to the tea bowl. 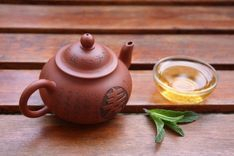 All implements used in the tea service are treated with the utmost care and respect. Some are only handled with gloved hands. Why do we learn this? The Tea Serve is a wonderful way to provide a relaxing atmosphere to someone and helping them to feel like the special person they really are. By crafting your chat, you can deliver an illusion of reality to the virtual world. Your beauty and charm will create entertainment that is personal and intimate and a moment that your client(s) will always fondly remember. 1. Serve tea to your Oneesan or Okaasan - remember to document the entire conversation in a note card if you are in Second LIfe - you may do more than one.. practice as much as you can! 2. Prepare for your Misedashi - be thinking of date and time when you will be putting on your public performance and be registered as Official Amatsu Maiko!